The number of young drivers taking out telematics car insurance is thought to be at an all-time high, with industry figures showing that 51 per cent of 17-19-year-olds on the road are now using ‘black box’ insurance. The data, taken from millions of quotes on MoneySuperMarket's car insurance site, shows that roughly half of all policies taken out by 17-19-year-olds in the first three months of 2018 were linked to telematics. Black box insurance deals usually provide cheaper cover on the condition that the driver uses a GPS tracking device installed in the car or a smartphone app to monitor their behaviour on the road; however, research by HonestJohn.co.uk has found that youngsters are being forced into telematics schemes with standard insurance policies being increasingly unaffordable. A market survey for an 18-year-old taking out comprehensive insurance for a Ford Fiesta show a typical black box policy for a town-based driver is £1550, while a standard insurance package without telematics costs £1938. Likewise, a young driver living in a city can face a bill of almost £3000 for a 12 month policy, while a black box deal comes in at is £2143. 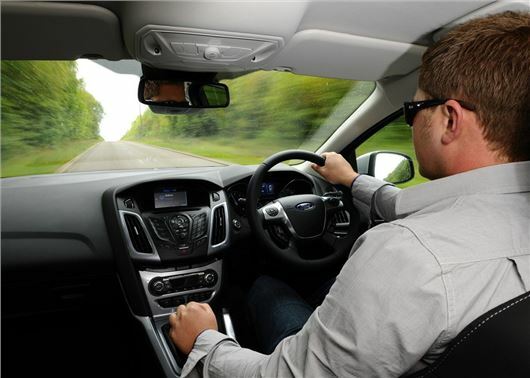 Even though young drivers stand to save considerable amounts, telematics policies have been criticised by some. Price comparison site Quote Goat surveyed 1000 young drivers between the ages of 17 – 24 on their views towards car insurance and found that 45 per cent of young drivers are unhappy in having to rely on black box telematics to reduce insurance costs - particularly as many come with mileage restrictions and night time driving curfews. According to MoneySuperMarket, almost a quarter of 20-24-year-olds use a black box insurance policy, while the number of 27-29 year-olds using telematics is fewer than one in 10. “Despite premiums falling for 17-19-year-olds over the past year, young drivers still pay a considerable amount more than other age groups. This is mainly because a high number of personal injury claims come from accidents that involve younger drivers," commented Kevin Pratt, consumer affairs expert at MoneySuperMarket. Good - it might force many of the idiot, reckless young/inexperienced drivers to be more responsible, otherwise they are forced off the road via higher insurance premiums. Bad - doing so may just increase the number of uninsured drivers, especially as the DVLA and Police can't be asked/don't have the resources to go after such people, or those with expired MOTs (a neighbour's car was still being run without an MOT for nearly a year).